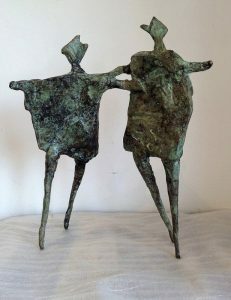 Neil wood has been a practicing, professional sculpture for three decades, after obtaining a BA in Fine Art-Sculpture from Wimbledon School of Art and an MA in Visual Art and Contemporary Culture from Keele University. Neil gained a PGCE at Staffordshire University, taking him of the journey leading to many years’ of experience teaching and lecturing in Fine Art and Sculpture at institutions in the UK. 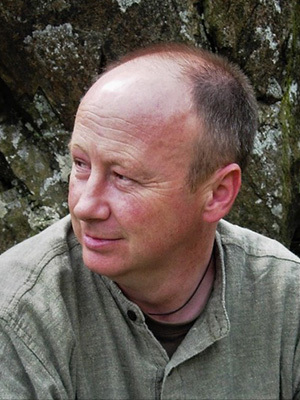 He has worked in various settings within education as Artist in residence and visiting lecturer, alongside his practice of producing sculpture for exhibition and commissions. It is possible that you have seen one of Neil’s incredible public sculptures. 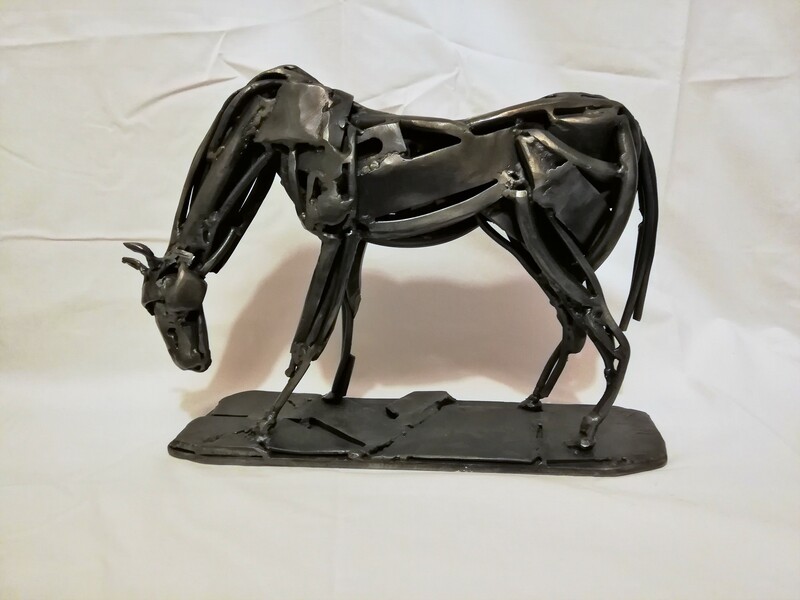 Neil’s medium is metal, whether that be mild steel, stainless steel or bronze. He works from a studio set in the heart of the countryside in the Midlands, forging new creations from his designs in time-honoured fashion with skill and expertise using trusted tools and from blazing fire-heat. Neil employs a Modernist methodology to explore the human condition in the 21st century. 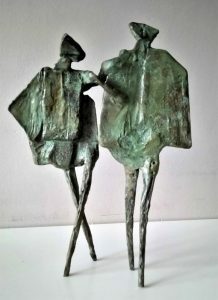 His figures are semi-abstract, and although honed from chunky, cold metal they exude grace, contain a dialogue with the viewer and invite narrative. 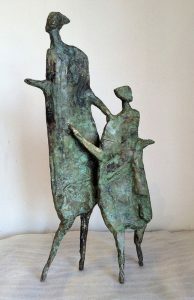 He continues to use the human figure as a vehicle to explore formal material qualities and visual language as a means of expressing complex ideas about the world we live in and the nature of human experience and relationships. 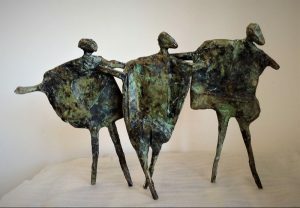 We can feel the emotion contained within Neil’s figures, their joy or pain or eves-drop the conversation. There are two distinct strands to Neil’s work; public commissions and gallery artworks. 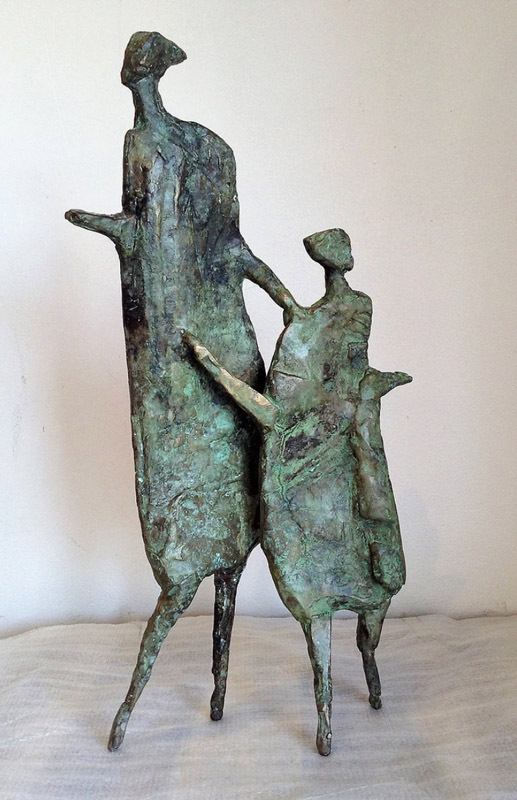 Commissions provide opportunities for him to work on a large scale, requiring an understanding of sculpture suitable for a specific space, working within a particular community, whether that be a public arena or pertaining to a particular environment or ethos. 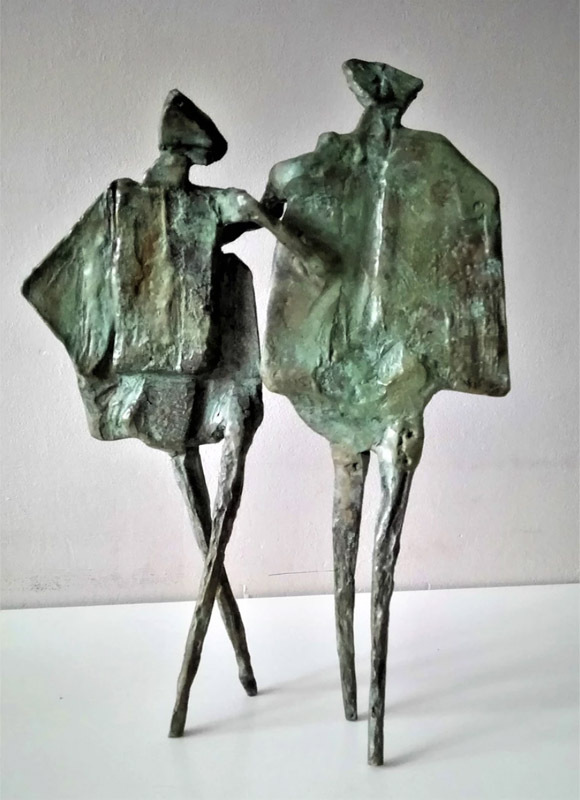 Sculpture for a gallery setting means that Neil’s can work with a more direct creative output, where the work develops intuitively, free form external constraints.